Looks idyllically rural, doesn’t it? Well, it was rural, but most of its residents made their living in a pretty gritty (in the most meaningful sense of the word), noisy and dangerous environment. Of course, it could be lucrative work too. It was gold mining country. That description was followed by a list of 50 residents and their occupations. Of the 50, 36 were miners. Four were mine owners, the remaining ten farmers, stockmen and a merchant. The four mine owners were brothers, the Baileys, who established the mine they named Ready Relief in 1870. The name is said to have come from the fact that one of the brothers, Drury D. Bailey, was down on his luck when they struck gold while digging near Banner Canyon. 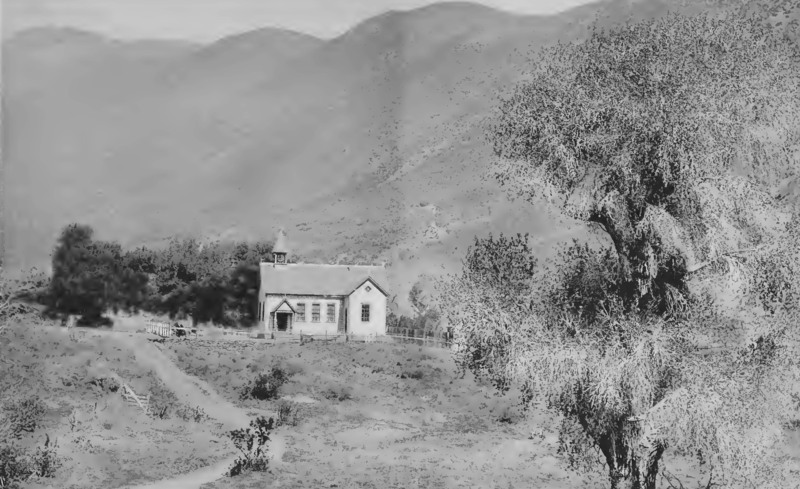 That change of fortune turned into a successful mining and milling operation during the heyday of mining in the Julian area in the late 19th and early 20th centuries. 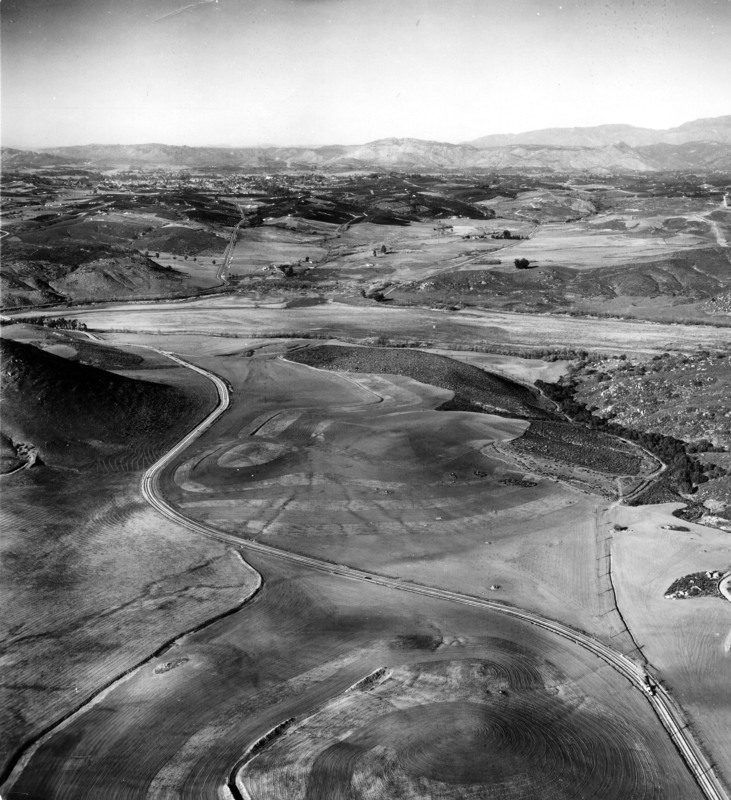 The Redman mine was owned by Louis Redman, whose discovery of gold in 1870 in what was called Chariot Canyon triggered a rush of other diggers like the Baileys to the country east of Julian. Redman is said to have planted a banner to mark his discovery, which is why the canyon and mining town wound up being called Banner rather than Redman. That’s history for you. 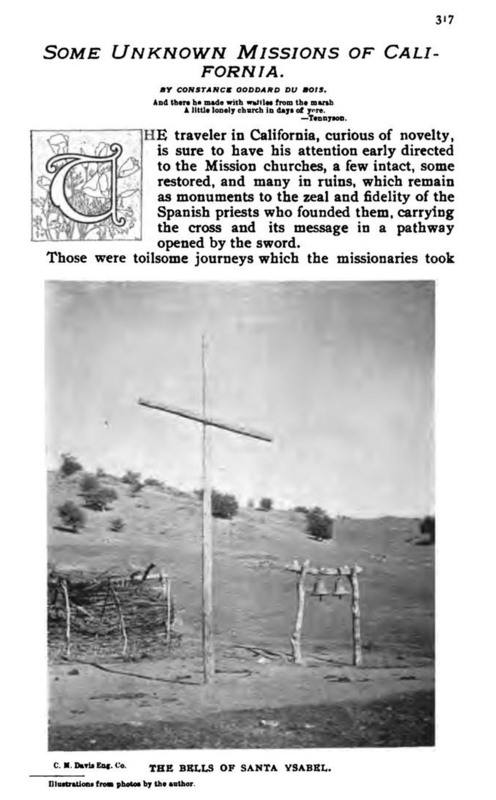 Sources for this post included historic San Diego newspapers and two books by Richard Fetzer, San Diego County Place Names A to Z, and A Good Camp: Gold Mines of Julian and the Cuyamacas. “Changed Hands” was the header on a short item in the San Diego Evening Tribune on Wednesday, November 6, 1901. It was about the change of ownership at what had been Chase’s Drug Store at Fifth and F in downtown San Diego. Dyar C. Hazelrigg was indeed a native Midwesterner, like a lot of others who flocked to California in the late 19th and early 20th centuries. Born in Greensburg, Indiana in 1866, he graduated from the Chicago College of Pharmacy in 1890. As late as June 1900, he was still in the Midwest, working as a druggist and living in the town of Rushville, Indiana with his wife Grace. Dyar was 33 and Grace was 28, as recorded in the 1900 U. S. Census. You can learn a lot about the state of pharmacy in times past by looking at old pharmacy ads. Sometimes you might learn more than you’d really care to know. I won’t go into any more detail on what problem “De Witt’s Little Early Risers” were supposed to be good for, but Hazelrigg’s sold them too. His drug store was, for a time, a regular stop for stagecoaches as well. “The Escondido Stage Line leaves Hazelrigg’s drug store, Fifth and F, and Strahlman-Mayer drug store, Fourth and D, daily at 8:15 a. m.,” stated an ad in the San Diego Union’s transportation pages on November 12, 1902. Sources for this post included historic San Diego newspapers, U. S. census records, and The Journal of San Diego History. 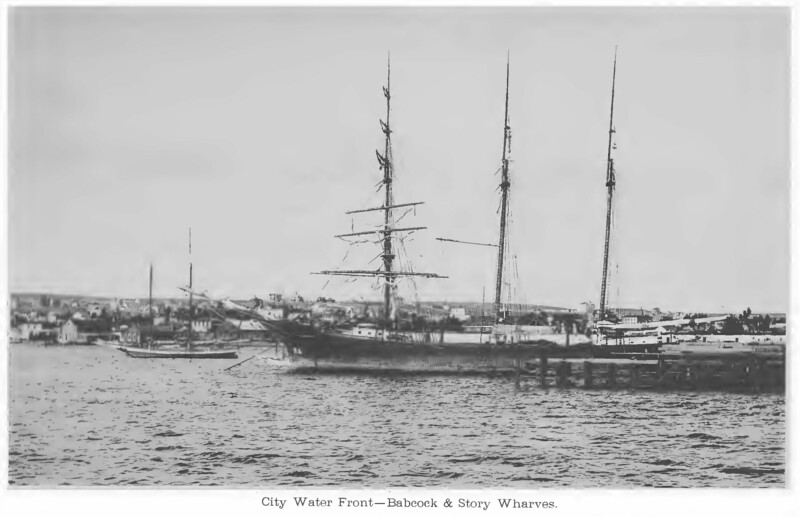 Photo of San Diego waterfront from the 1887 book, Picturesque San Diego, available from the Internet Archive. 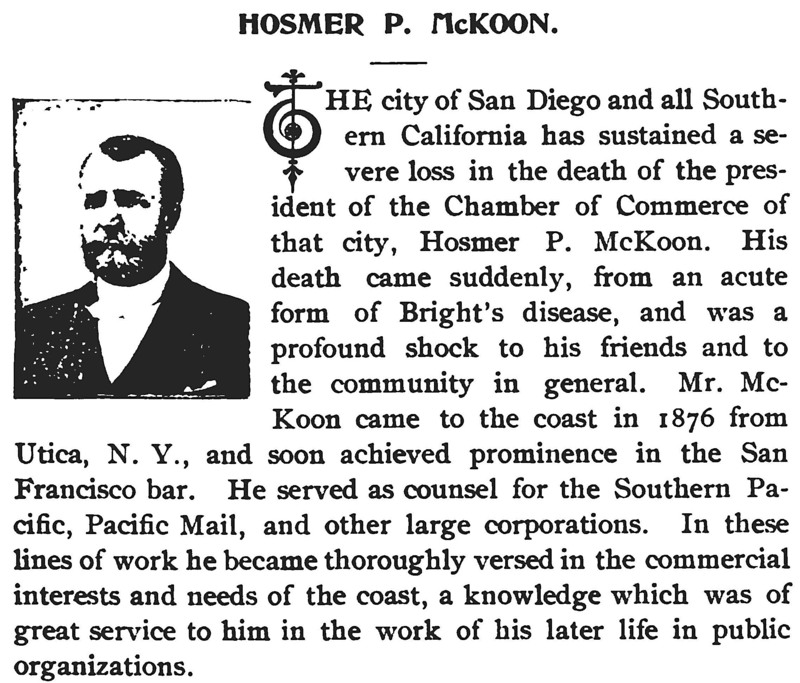 Taking some time this week to highlight a great source of San Diego history that I’ve made use of and that all readers of this blog can use as well. The Internet Archive is a non-profit digital library with the stated mission of “universal access to all knowledge.” It provides free access to researchers, historians, scholars and the general public to tons of digitized historical materials, including (at last count) almost three million public-domain books (that’s books old enough to be beyond copyright) along with other media including videos and websites.